The Pentek CBU-10 is a 0.5 micron filter. The filter reduces chlorine taste and odor, cysts, and sediment. 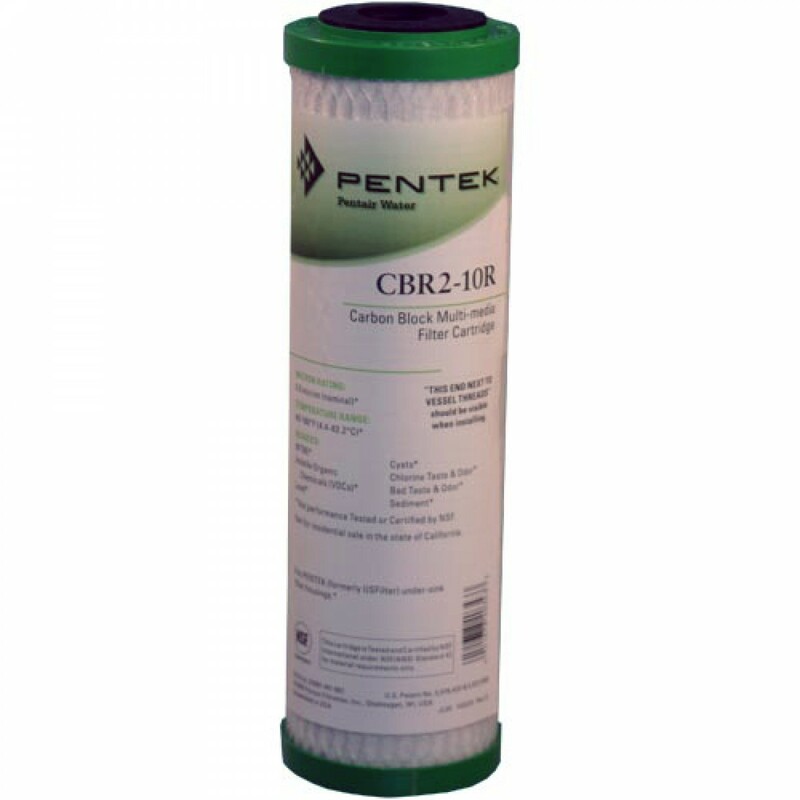 The Pentek CBU-10 water filter is 9.5 inches long and 2.75 inches wide and has one white cap and one green cap. The CBU-10 has a 1-inch center hole. The Pentek CBU-10 Carbon Block Water Filter is used in Ultraviolet Water Filter Systems UVS-110-1, UVS-110-2, UV-110-1, and UV-110-2.